The “Day of the Dead” event takes place from 01.11.2014 to 03.11.2014. Since it’s a very short event you can make large profits with the items you get there for the rest of the year. How can we make gold in these 3 days? You can put this pet in a cage and trade it or put it in the auction house. Get yourself some Totenspeise and hand it over to the ghost at the Dalaran graveyard. Use an Orangefarbene Ringelblumen to see the invisible ghost! Where do I get this quest? At the graveyards of your race capital cities! I recommend Dalaran or Shattrath since every race can get the quest there. Where do I get Orangefarbene Ringelblumen and Totenspeise? Orange Marigold is sold from Chapman, a vendor near the graveyard. You have to craft the Bread of the Dead. The recipe is sold by Chapman. You can craft Totenspeise with cooking skill 1. You can buy Herkömmliches Mehl from cooks and Eiskalte Milch from inn keepers in the capital cities. Once you crafted Totenspeise just hand it to the quest NPC and get your “Makabre Marionette ” rewarded. How do I make gold with this pet and this event? Like for every other event prices for event mounts and pets can be really low. The Marionette may drop down to 300g. But since it’s a short event and many people don’t get that pet prices are raising throughout the year. This pet is also a popular style pet. Are there other ways to make gold these days? The common “World of Warcraft” player is very lazy when he wants to have something. You have to buy a recipe and get the materials for it. This results in flying time and some people don’t like that. So we just cook several stacks of Totenspeise. With them in our bags we camp the graveyard in Dalaran where the quest NPC is located. Via /s we offer our cooked dishes for 40g. I do not recommend on spamming the trade chat since it will get you competitors. Don’t expect too much, but if you’re having fun trading face to face give it a try! Can I get this pet more than once? No, you only can have it once. But there are ways to get 100 of them too! 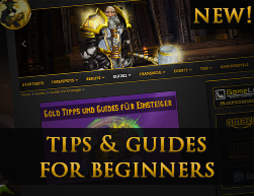 Learn the pet and delete your alt – start over again! If you want more than three pets you have to put them in a cage since you are only allowed to have three of a kind at the same time.